Photos for Memorial day. Words are not needed. Not my photos. Shared photos by kind people. Pray for peace. Please pray for salvation. Please forgive us, we have sins. We send our young people to war, lord. Not to protect our borders, for the profit of man. This is a deeply moving post. I am so glad that you included the one of the Muslim women grieving as well. War touches people of all races and religions and the only road to peace is for us to embrace people of all races and religions. My unit had to move the bodies from death valley in the first Iraq war. This experience taught me.We are the same. I found men dead holding pictures of kids and wife. Their last wish to be with family. War is not a racist. Killed all people with equal hate. Thank you for reading and the comment. The first photo is a mother at her son grave. This one broke my heart many years ago. Yes. and pray for peace and take the time to thank a Vet for putting their life on the line for you. I have noticed pics in your blogs of you in fatigues. I thank you for your service on my behalf. Thank you. I served 15 years. We need to stop the bloodshed before it is too late. 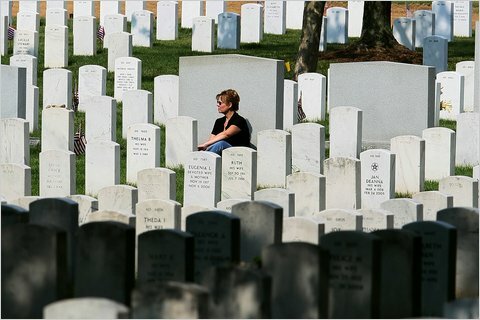 I have never “been for” any war but I have always supported the troops and for the respect and benefits they deserve. I hope you are remembered this weekend. I truly am grateful. words are not necessary, powerful and moving photos. Thanks John. The photos show the dishonor of war. No-one wins. True. So many lives lost. Thank you for the Mark Twain quote and reading. I do appreciate.